The old year should never be tossed on the compost heap without first picking the meat and marrow from its bones. Here’s a compilation of the choice morsels of wisdom gleaned from my writing life in 2018. This is the first in a new series, Self-Care for Writers. Launching first books: Rebecca Lennard‘s Ronah and Kellie Byrnes‘s Cloud Conductor, shown here. Congrats, ladies! We commiserated over rejections, disappointments, and publishing injustices and absurdities. We ranted and raged, laughed, consoled, and strategised, all while ‘procaffeinating’ and eating really well! We even wrote together. The proof is there in the pictures below. Never mind that it was the final meeting of the year. Writing can be—and sometimes needs to be—a lonely affair, but connecting with other creatives is revitalising. Doing so pulls me out of the cramped attic of my mind and makes me use different muscles: listening muscles, laughing muscles, and empathy muscles. I discovered the buzz of forging genuine networks based on mutual interests and aspirations. Not gimmicks, agendas or marketing. Ew, Ugh, and No thanks. I may not have landed a contract in 2018, but I have landed several contacts for my friends, colleagues, and myself. I started 2018 with the goal of building creative community in my new hometown. I’m very pleased to report back that I can tick that goal off the list, and I’m richer for it! Writing is far more physically demanding than I ever realised. When I don’t mind the machine—my body——I regret it. In June, I rewrote an entire 60,000-word manuscript over four weeks, working up to eleven hours a day. In July, my kinks and cricks joined forces and revolted against the tyranny of my timetable. Fortunately, the crippling pain only lasted a couple of days. I discovered three helpful strategies for writers to stay healthy and mobile. Regular yoga practice de-kinks the shoulders, relieves sore wrists/elbows, and releases the hammies. The use of a sit-stand desk is helpful for back, neck, wrists and elbows. Make it better by wearing supportive shoes, e.g., Birkenstocks, correctly positioning the height of the screen, and swapping hands for controlling the mouse or trackpad. In the event of a back-pain emergency, a reputable Bowen therapist or acupuncturist can conjure up some relief. I’m lucky enough to be married to the latter, but OMG Bowen Therapy is amazing… Don’t tell him I said that. Brainstorming book ideas is to writing what playing the field is to dating: high on fun, low on commitment. But this strategy can gradually turn into a shallow, unfulfilling lifestyle if you let it. While generating ideas and amassing reams of notes is a buzz, it’s important to remember the real learning and growth come from writing—and especially from finishing a project. I have arrived at the end of the year with one polished project, another that’s on its fourth draft, and five intriguing, thoroughly planned ideas plus a few finished short texts. I spent a lot of time not choosing a new project. Do I suffer from full-blown commitment aversion or something else? I know how long one project can take. I’ve spent four years on one manuscript, rewriting and fine-tuning, querying and pitching, and it hasn’t found the right home yet. Given the timeframe, it’s only natural to be hesitant about committing to a new project. I’m recalibrating my strategies to ensure all my brainstorming isn’t actually procrastiplanning. I drill myself: Is this productive work? Or am I engaging in unhealthy avoidance? What am I afraid of? Journalling helps me dig deep into my motives. Time management isn’t one size fits all. The problem is bigger and sketchier than anything corporeal or material, and it hangs around even if you don’t have a nine-to-five job. The problem goes my many names, including fear, self-doubt and Resistance. See Steven Pressfield’s The War of Art. More time and fewer distractions do not automatically equate to better writing or even to greater productivity. Busy people can find the time to write if it’s important enough. I wrote my first three novels while working 30 hours a week and volunteering intensively. However, in my first year of full-time writing, my output increased only marginally despite having twice as much time to write. I’ve had to acquire a new set of time management skills to match my new lifestyle. My problem isn’t motivating myself to work; it’s stopping! I find it tricky to shift gears from deep-focus creating to surface-world relating . If I don’t control my deep focus superpower, my relationships suffer. And my body protests (see above). Time management has its limits. Personal discipline gets you part way. But the thing that really marshals my meandering mind is a looming deadline. It forces me to work efficiently. I can’t afford to endlessly tinker and fine-tune. The real key for me then is to find or create meaningful deadlines. If I don’t have a real (read: external) deadline, I use competitions, applications, events and holidays. Writing is an expensive lover and a cheapskate boss. I know this isn’t how it plays out for every writer, but it’s definitely the title of the script I’ve been handed. The reality of this state of affairs is felt more acutely now that writing is my sole source of “income”, a term I use loosely because it’s beginning to take on mythic overtones. The emerging stage of a writer’s career (l-o-n-g in my case) can be fraught with expenses—writing courses and conferences, books, pitch opportunities, editing, blogging costs, software, books, professional associations, industry publications. Did I mention books? I’ve considered these things necessary and part of my writing apprenticeship, but now I wonder. I have seen numerous publishing professionals say, “Breaking into writing needn’t be expensive.” I used to scoff; now I pause. In the past, I joked that my job funded my “writing habit” even though I was deadly serious about building a writing career. I still am; it’s just without outside income I have to be extra choosy about where and how I invest in my writing. It’s ironic. Now I have the time and freedom to attend courses and conferences and all the writerly things, but I can’t. Or rather, won’t, because it would be irresponsible. And I now question the necessity of it all. Put your money into mentoring, manuscript assessments, and editing. The most valuable writing lessons over the years have come from feedback from mentors, editors, and publishing professionals. Hiring an editor isn’t cheap, but it’s tailored to you and the process does double duty: it prepares your manuscript for submission and it exposes the flaws, quirks, and bad habits in your writing so you can improve. The markup and notes are rich with nutrients, like Miracle–Gro® for your writing. Two caveats: be sure to hire a reputable editor. Look for testimonials, credentials, and industry connections. Secondly, research the kinds of editing. You want more than a proofread and tidy. Don’t miss the opportunity to delve into structure and mechanics. 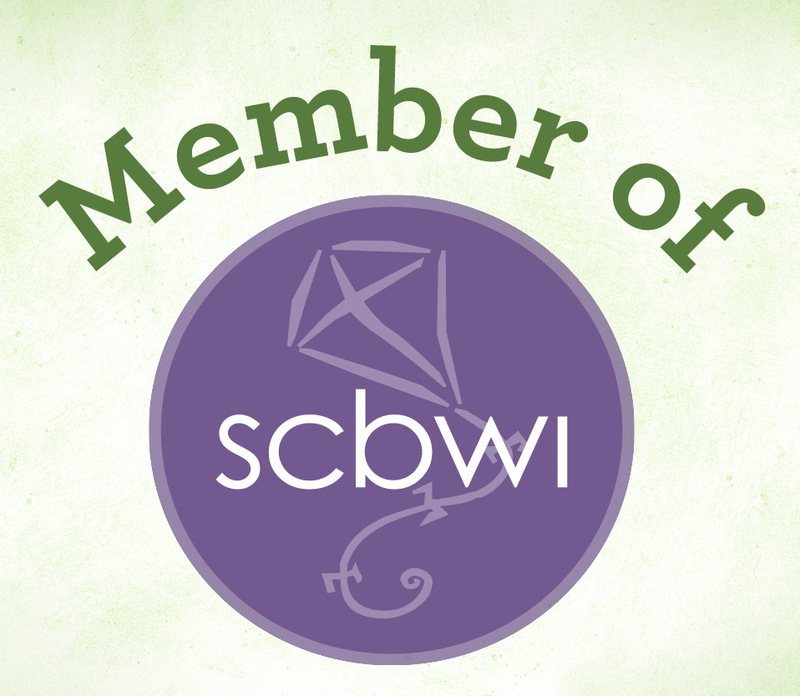 For networking, join or set up a local or online writers’ group. Look for one that caters to your level and aspirations. The most valuable “networking” I’ve done is in writing groups like the Sunshine Coast Writers’ Roundtable (above) and Write Links. Both are low cost, mingle-free, and you do more than swap business cards; you build deep relationships and you learn from one another. Conferences are fun and useful for hobnobbing and networking, but they are super expensive and exhausting for introverts. As for hobnobbing with the pros, it’s hard to beat the Manuscript Academy, which lets you buy a Skype session with the US agent/editor of your choice. Be warned if you live outside of the US: the exchange rate pushes it into the expensive range. I reckon it’s still bang for your buck though. My 2019 micro goals include finding and holding onto more reliable paid writing gigs and income-generating projects to fund manuscript assessments with editors and Skype sessions with agents—and to pay for the desperately needed research trip in the UK. Of course, the top goal remains to build a writing career, getting my books published and out in the world and generating a steady income. I met a few writers this year whose writing careers are following a very different script. They don’t spend a cent on their writing—not on courses, not on memberships, nor on editor appointments, competitions, conferences … nothing. Nada. They don’t even have writer-buddies (not that they cost anything…) And yet, they whip out publishing contracts and can point to books on shelves and brag about others in the pipeline—all the trappings of a capital-c Career and a real (not mythic) income. Whether it’s enough to live on I couldn’t say. I was gobsmacked. Who were these weirdos, these anomalies of the writing life? They’re men. …and let go of the rest. Hard work, perseverance, dedication to craft, and thick skin will not guarantee success in this industry. Like it or not, luck, timing, chance encounters, the position of the stars, Wall Street, Krakatoa, and other variables play a huge part. Knotting the knickers over the uncontrollable factors is pointless. Though I’d like to, I cannot speed up the publishing industry, which is famously glacial. Radio silence (i.e., no response from agents and publishers) is frustrating, and yeah, it’s not completely acceptable, but it is highly likely. Rejections are unavoidable. Some ideas are ahead of (or behind) their time. Despite talk of equity and diversity, bias and inequality still exist in the publishing industry. These are all realities of the writing life. We can accept them and persevere nonetheless, or we can let them embitter and immobilise us. I found myself ranting quite a bit this year, over what I won’t say here because I need to knock it off. (See the end of the previous section and you’ll get the picture). From now on, I’ll sublimate such disillusionment into tension for my stories, and I’ll continue striving for excellent process and mastery of the things I can control. The other key to survival in this industry is to avoid comparison. In a yoga class, if you sneak a peek at what your classmates’ practice looks like, you risk injuring your neck or discouraging yourself or both. It’s the same in writing. Pathways to publication are as individual as body shape. Some yogis have extra long arms that facilitate reaching the floor while others have super loosey-goosey hips that allow for deep bending. Similarly, some writers excel at generating mega- commercial concepts while others excel at beautiful prose; both are awesome talents, but one might get published more quickly than the other depending on God-knows-what. Don’t compare. Keep your eyes on your own yoga mat. No rubber-necking. Save yourself the pain of discouragement by trusting your passion, your story, your journey. So there you have have it: the bones of the old year picked clean. Another year older, another year wiser. If flourishing was my word for 2018, I’m curious to know what word you’d pick for yourself. Do you have a wise take-away for the year? Leave a comment so I can glean from your wisdom. Wishing you a year of living, growing, and flourishing in 2019. I think my word for 2018 would be accomplishment. I tried to think of something cooler, looking up synonyms but I think accomplishment is good enough. 2018 was a year of lasts and of getting things done and over with. Even if things didn’t turn out as I planned they were finished and that itself are accomplishments I’m proud of. Accomplishment is a great word for the year. Congratulations, Celine! I hope 2019 can be a year of firsts and new beginnings and everything you need! Great post and very inspirational. I’m so glad you found such a wonderful group of creative new friends. Happy New Year, Ali! I wish you could speed up the publishing process Ali! I’ve just been looking on Kindle for something to read and there was book flashing in my mind I was trying to track down and I suddenly realised it was yours! I settled on a series by Michael McClung about a thief called Amra Thety. It will keep me going a bit longer! My word for 2018 is courage! I pushed myself out of my comfort zone in so many ways. I heard it was the Chinese Year of the Dog and that I was a dog so that gave me the courage to do what I had been putting off. I’m glad the year is nearly over and the Pigs can take over, I’m exhausted! Wonderful post Ali. Well being is so important for creatives.